You’ve been hitting the gym hard and eating more healthily for what feels like decades, yet your wellness goals somehow continue to elude you. We’ve all been there and, quite frankly, there’s nothing more demotivating. Sometimes it’s just a case of patience, and other times it may be that we aren’t working out as effectively as we think we are. Either way, this scenario calls for an intervention. Here are some tech-inspired pick-me-ups to give you a boost and get your fitness routine back on track. Think you’ve been consuming fewer calories and covering major ground on your daily run? Without proper tracking, it’s difficult to know if you’re really hitting your targets and working towards the results you want. Adding an app to your workout will eliminate the guesswork, allowing you to monitor everything from diet to daily activity levels. Myfitnesspal is particularly good for tracking both your dietary and fitness goals in one place. If you prefer your workout to be a smartphone-free zone, wearables enable easy monitoring without the manual data input. Smartwatches are a great way to incorporate fitness tracking into everyday wear, and don’t necessarily need to look like gadgets – check out Chrono24 for second-hand Apple Watches with a more luxurious look. Alternatively, if weight-lifting is more your thing, PUSH is a genius armband that measures your lifting intensity and gives helpful advice regarding your form. There is no motivation without music, and the right soundtrack is often all it takes to keep you pumping. Don’t keep recycling the same old playlist – this is a fast-track to workout boredom. 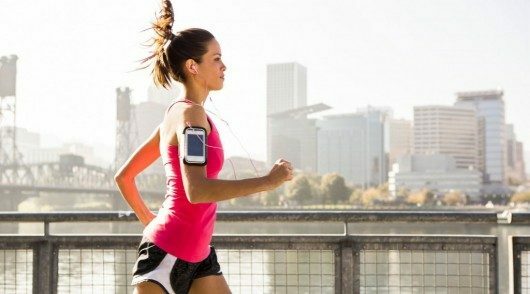 Instead, keep it varied by using the Spotify Running feature to generate automatic playlists that sync to your running speed. Now that the weather is starting to heat up, jumping onto a bike and hitting the open road is a fantastic way to keep fit and have fun. However, the right type of bike is incredibly important, as where you’ll be riding, how long you’ll generally ride for, and your weight and height are all variables when choosing a bike. It’s best to visit a proper bike store, as they can inform you on whether to get a mountain bike, road bike, or even a hybrid, as well as what your seat height should be and your riding position. Lastly, be sure to look into fitness capris such as those from Lumo. These leggings can be integrated with a sensor, that when partnered with an app, provides incredibly useful feedback on how many steps you’re taking, the length of your stride, your pelvic rotation, and much more.